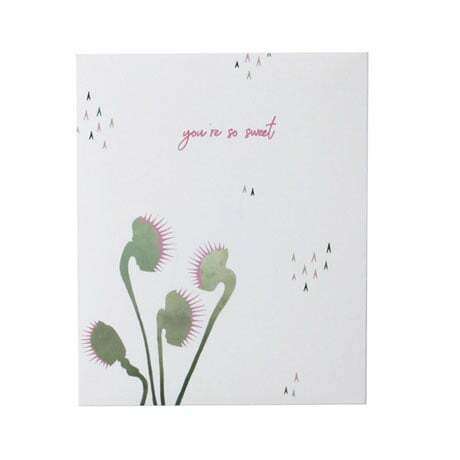 Capture the heart of a loved one with our clever Venus Flytrap Pop-Up Card. The front of this 4½"x5½" card features a simple illustration with "you're so sweet" in shimmering purple script. 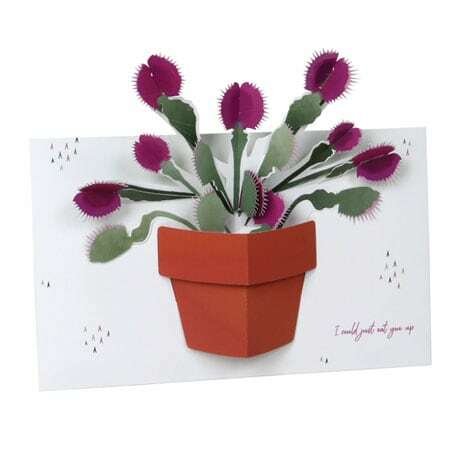 When the recipient opens the card, a beautiful 3D Venus flytrap sprouts before them, with the message "I could just eat you up" inscribed beside the terra cotta pot. Send this unique card as a quirky valentine, a fond birthday greeting, or just a friendly hello to a good-humored friend. Includes a matching sage-green envelope.